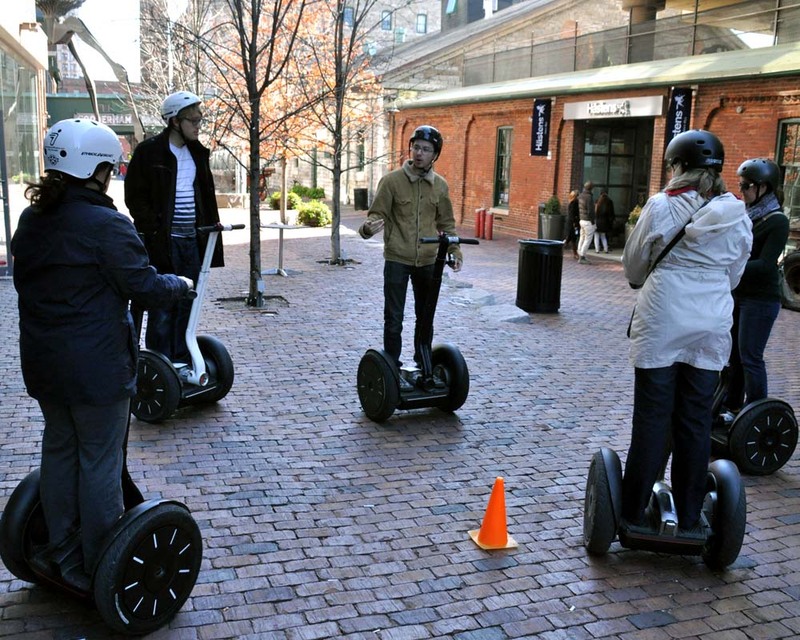 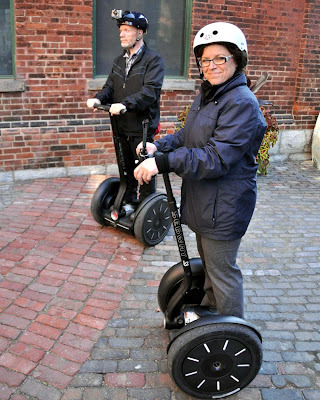 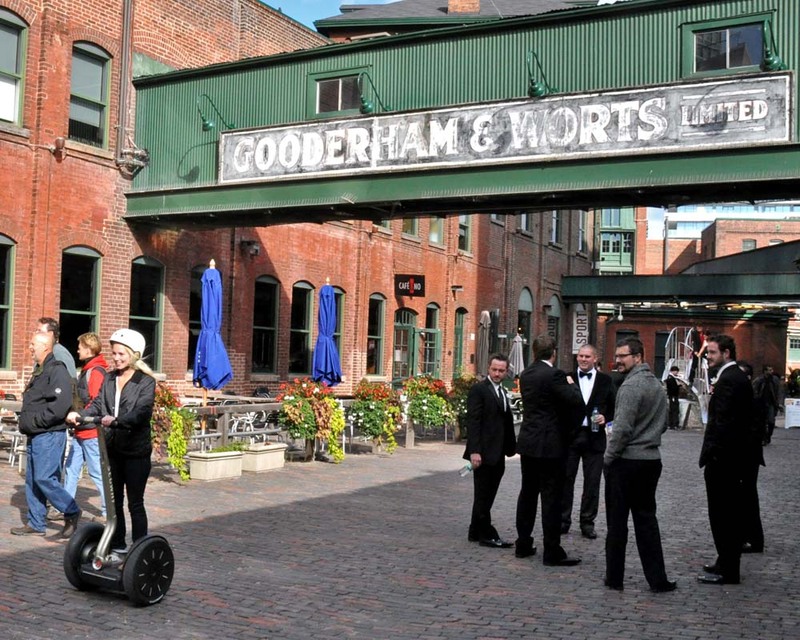 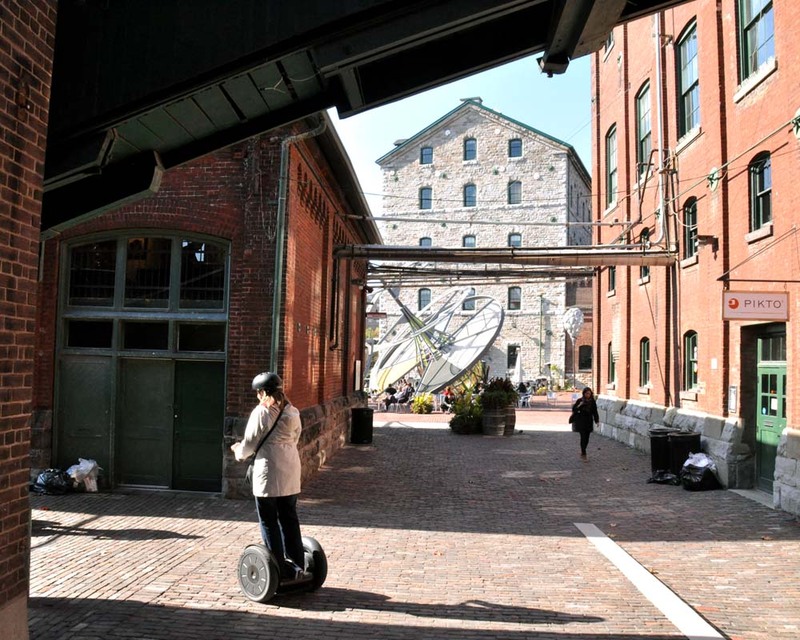 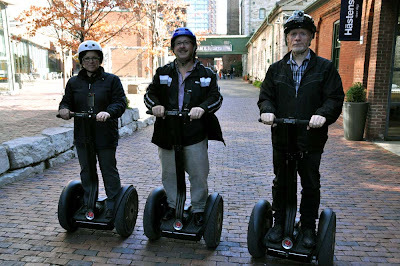 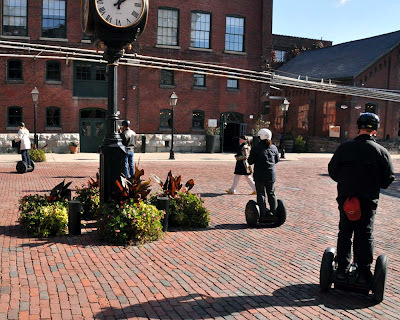 I have watched the @SegwayOntario Tours run through the Historic Distillery District in #Toronto many times - now it was time to mount up. Here is someone riding through the cobblestone neighbourhood of the District. They are open year round in Toronto and don't forget about the Haunted Walk of Old Toronto. 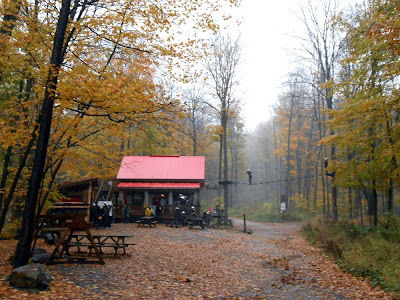 To prepare for the city course I thought I would first warm up in the forests of Horseshoe Valley with a fall colours offroad adventure. I was joined by Ann and Joe as we booked the last day of their 2012 season for our ride. The machines used in the resort are Segway X2 models complete with big wheels and let me tell you, they are extremely fun. 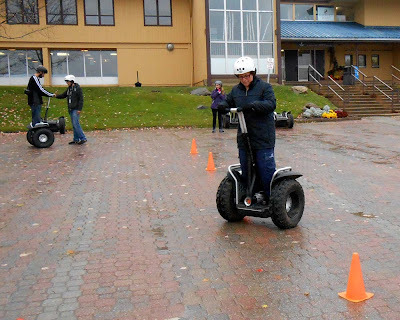 After a training course (by Kyle Kerr, pictured above) to make sure we were comfortable on the two wheeled vehicles it was off on an exploration of the large grounds and trails in Horseshoe. 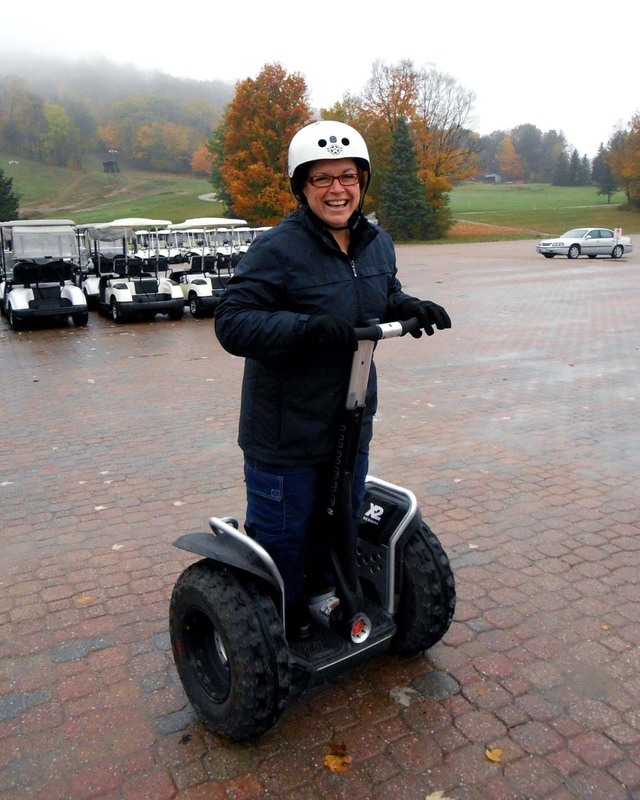 It doesn't take long to feel like an expert on the Segway and you feel very safe during the ride. 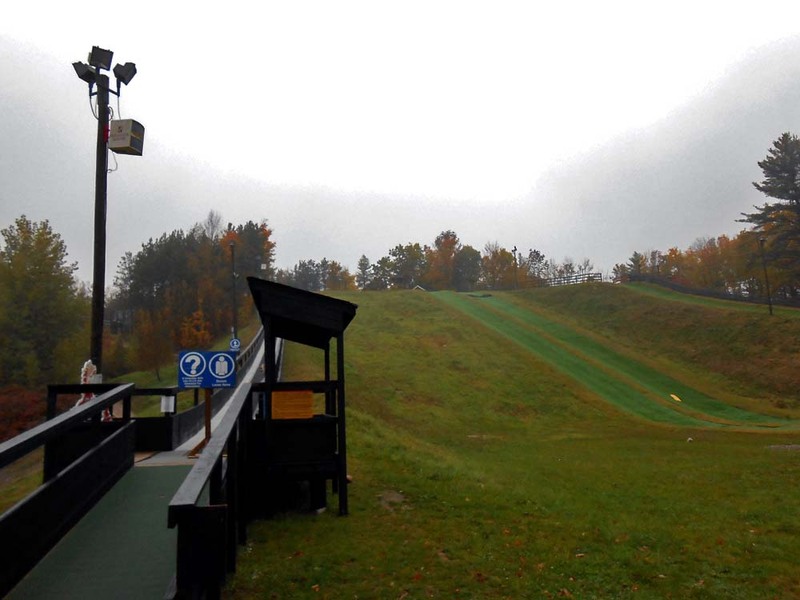 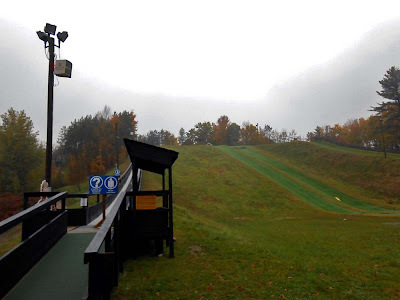 On our tour we passed by the Treetop Trekking course, the downhill mountain biking course, the zip line (second longest in Canada) and the Adventure Park which features the AQUA Ogo. 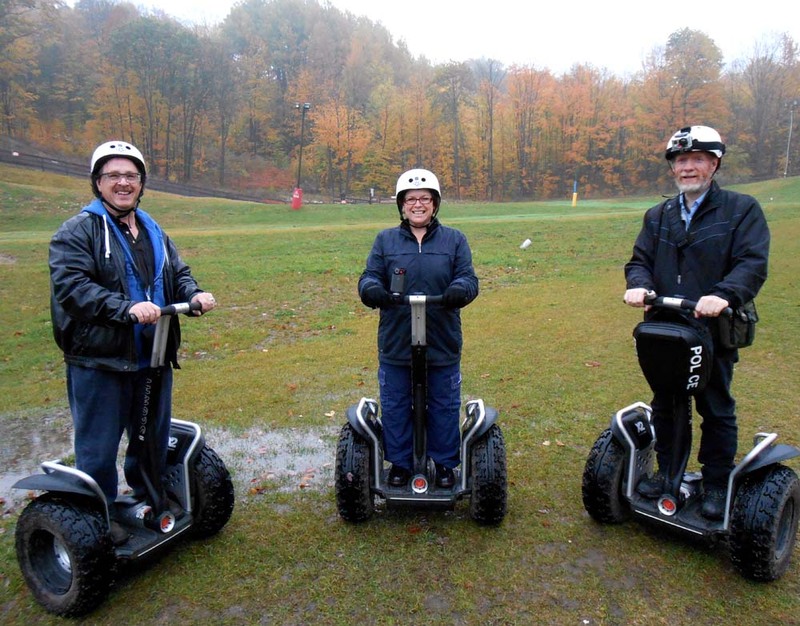 The Ogo is the big, see-through ball that you get inside and roll down a hill. 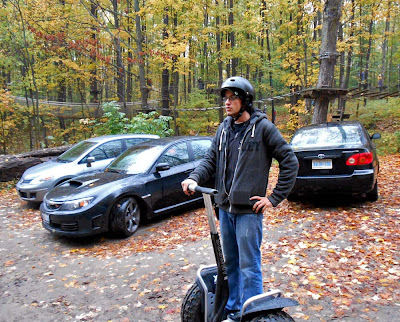 Riding through the forest over the fallen leaves was pretty amazing and opening up the Segway on open terrain was exciting! Next ride will be in the Distillery District when we go for a spin - I will update this post after that ride I have added photos from the Toronto tour at the bottom of this post. 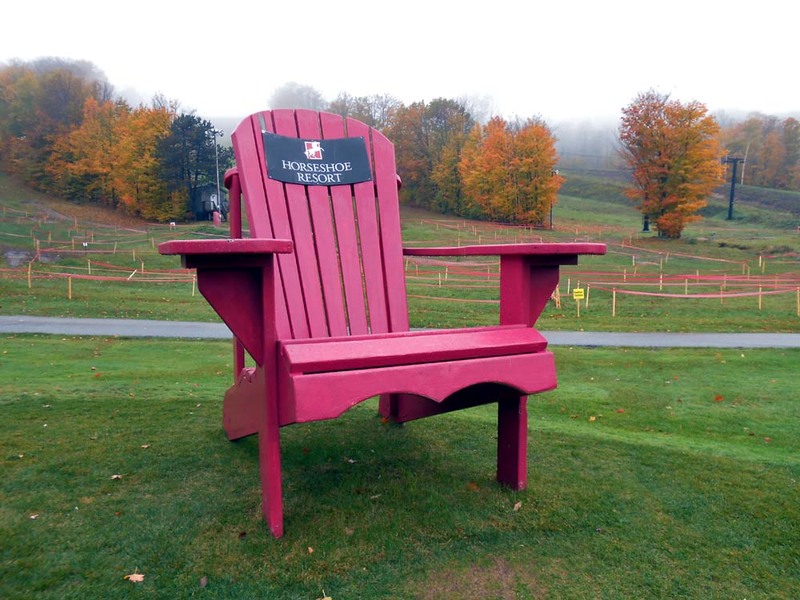 See more of the fall offroad tour after the jump. Joe's YouTube video of the ride - in fast motion!